Next week, we will head back to Trenton, NJ. For the second year in a row we will be working with local businesses and civic leaders to design a set of strategies focused on designing an ecosystem that will help small businesses grow. 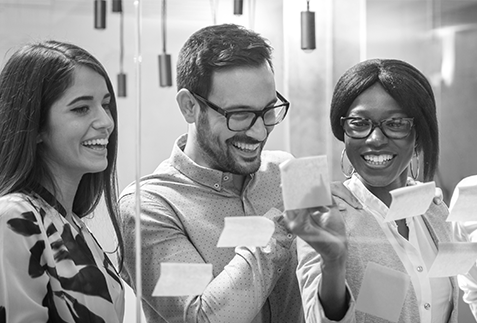 We are partnering with the City of Trenton to provide the Trenton Business Innovation Project, a set of workshops for business owners, entrepreneurs, and individuals. We’ll be working in four specific focus areas: (1) the arts economy, (2) a makers’ culture, (3) a business booster effort, and (4) heritage tourism. 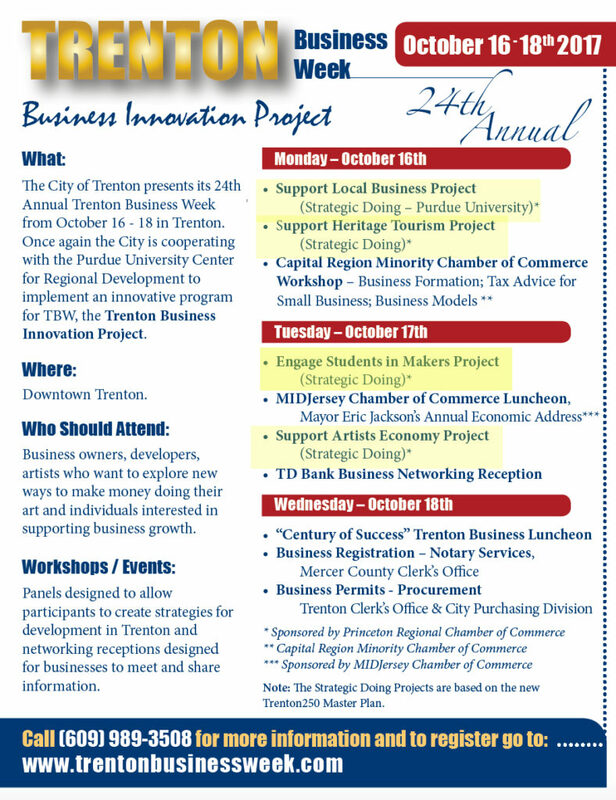 The Trenton Business Innovation Project is a component of Trenton Business Week (TBW), which runs from October 16th to October 19th in Trenton. The Princeton Regional Chamber of Commerce sponsors the Trenton Business Innovation Project.